The National Cancer Institute is currently accepting applications for participants in the Training Institute for Dissemination and Implementation Research in Cancer (TIDIRC). The Victorian Government through the Victorian Cancer Agency will support all successful applicants to the TIDIRC through a one-off travel scholarship of $10,000 AUD (ex-GST). Read further for information about this travel scholarship application process and requirements. The School of Public Health, University of Adelaide is offering a 12 week online course in Health Economic Evaluation & Decision Making, during the March-June 2018 (midyear break). 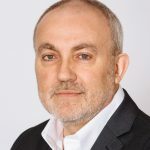 An introduction to the principles of assessing health technologies’ and services’ economic value—an important element of the justification of funding decisions throughout the health care system. Health economic evaluation provides a critical basis for assessing the value of health technologies and services. It is increasingly used to inform funding decisions for not only new health technologies but broader services across the entire health care system. It is also an expected component of most health-related research grant applications, making greater knowledge and experience of health economic evaluation vitally important for researchers. HealthCentral.nz harnesses the collective depth and breadth of New Zealand Media and Entertainment’s (NZME) health content from market-leading and award-winning websites and publications, such as NZHerald.co.nz, Newstalkzb.co.nz, Nursing Review, INsite and NZME’s regional daily newspapers. 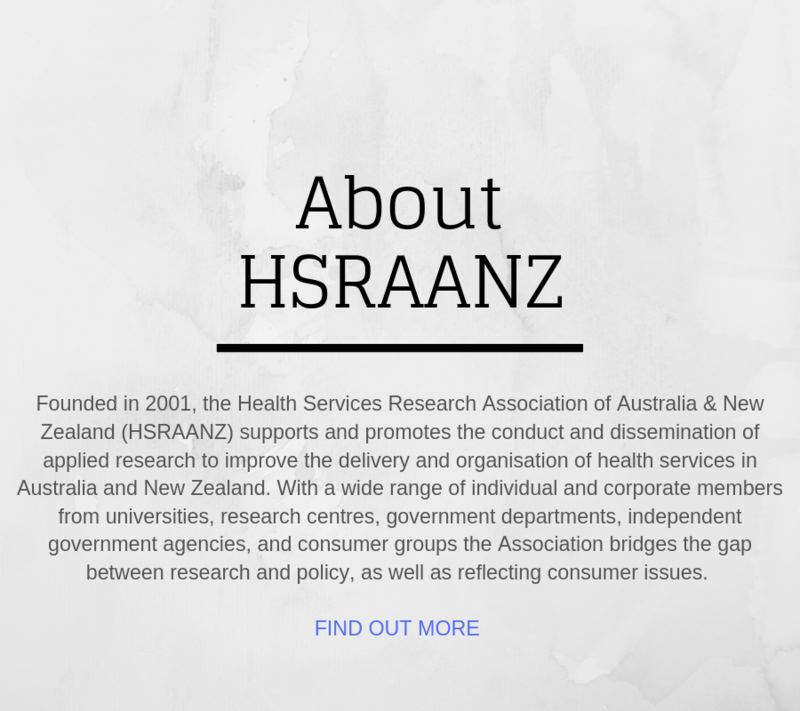 An end of year wrap from HSRAANZ President, Jonathon Karnon on our recent and planned activities. 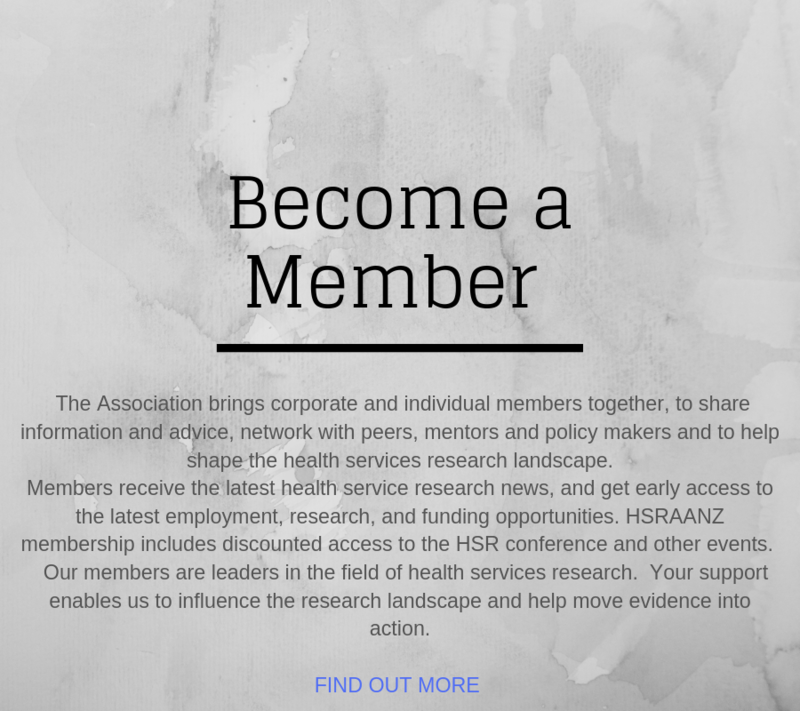 Don’t forget to join/renew your HSRAANZ membership for what should be an exciting year ahead for health services research.